Each summer, we hire motivated and hard-working high-school students to assist us in a variety of projects we are working on in our lab. Our goal is not only to further our progress, but also to give these students the experience of working in a lab environment. During the summer, students will gain enriched, hands-on knowledge in the fields of physics, engineering and biology that would be difficult to attain elsewhere. We hope to nurture a passion for science and engineering in the next generation and help students move closer to their goals. We are expanding our employee search to include students from all high schools in the Greater Toronto Area. 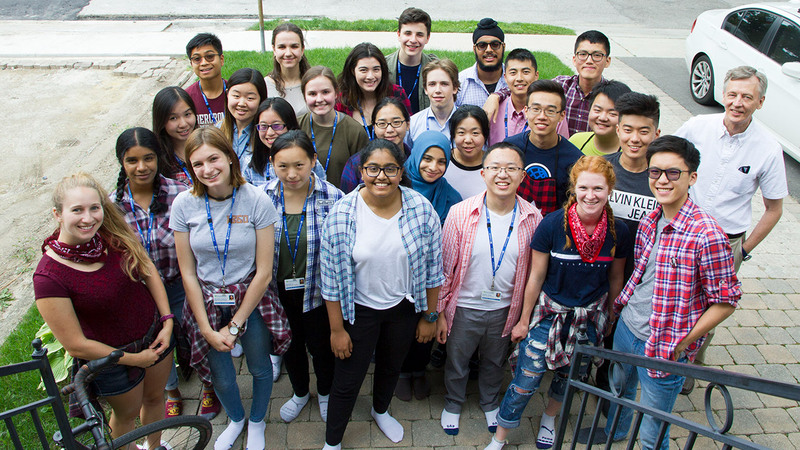 If you are hard-working, enjoy math and sciences, and would like to benefit from a lab environment during the summer, then our summer student program might be of interest to you. Though high marks are preferable, they are not the only achievements and qualities we seek in our applicants. We also take interest in individuals who are excellent at working in a team and have good communication skills. Being well-rounded and having a wide range of hobbies and interests will not be overlooked. We are looking for students who are in grades 11 or 12. We will also consider students in grade 10 who are over the age of 16 at the program start. If you are interested in applying for a position, then please send the following documents by email or mail to the contact listed below. Read more from students who have gone through the program. Must be 16 years of age by July 1, 2019. Must be able to commit to full-time hours Monday to Friday during July and August 2019, as this is a paid position. Confidential teacher evaluation form. Please submit only one teacher evaluation form. Important: The confidential teacher evaluation form must be emailed directly to Kristina Mikloska at: kristina.mikloska@sunnybrook.ca. Only forms emailed directly from a teacher will be accepted. We thank all applicants to the 2019 summer high school program. The application deadline has passed. Only applicants who will receive an interview will be contacted in early March. Interviews will take place between March 8 and 18, 2019. We have four types of projects that often overlap. Most projects will involve an element of basic programming with supervisors that are willing to teach motivated students.